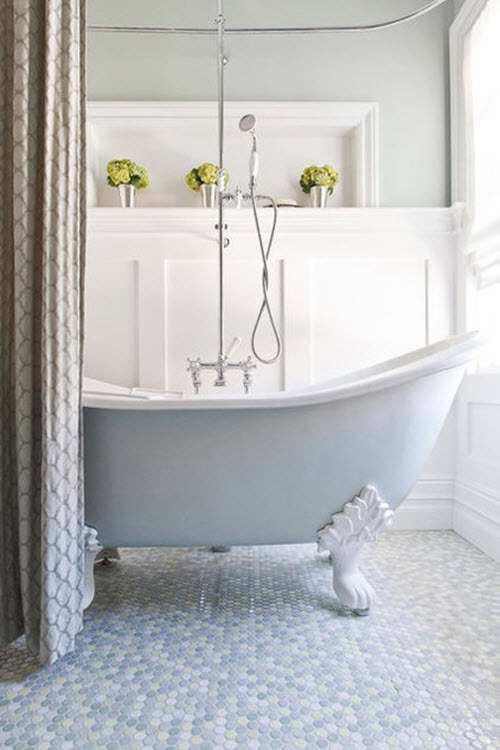 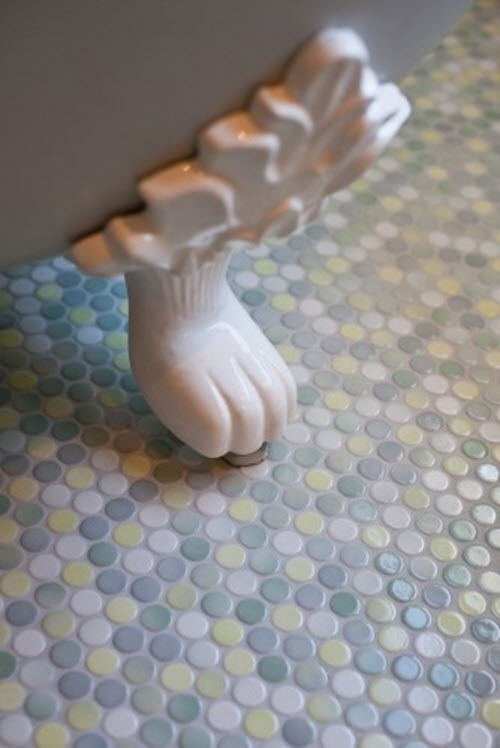 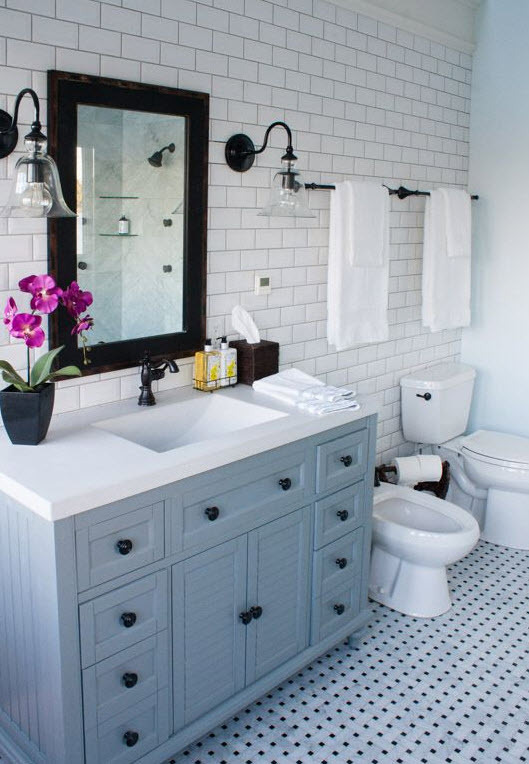 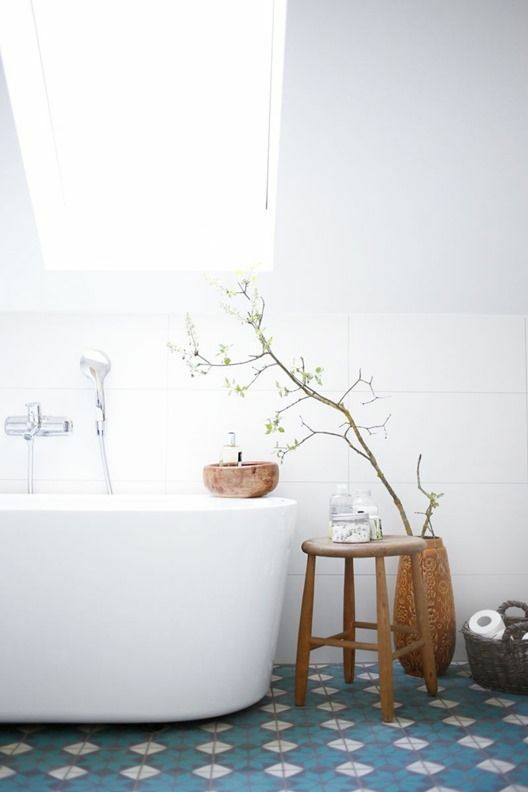 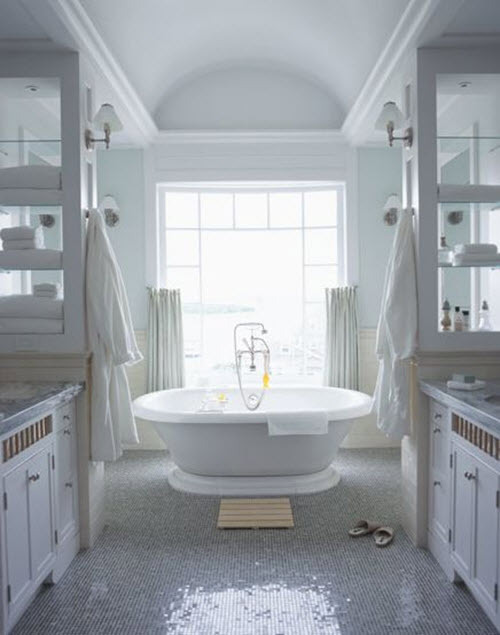 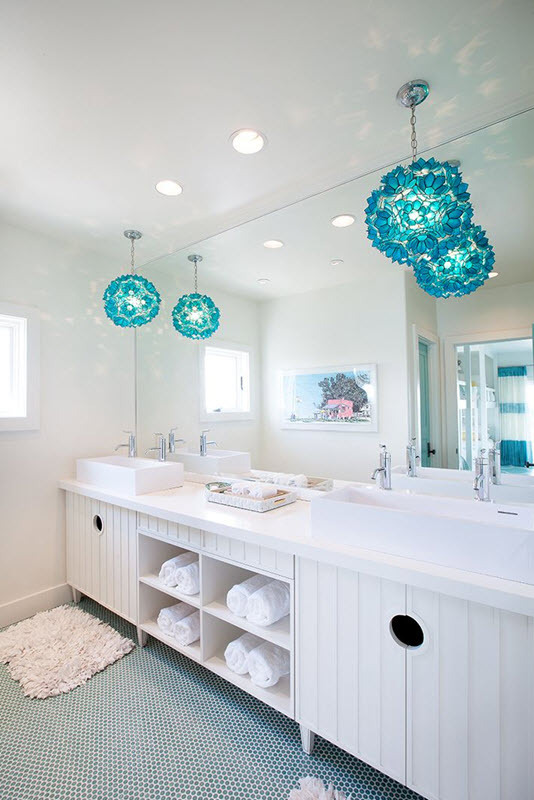 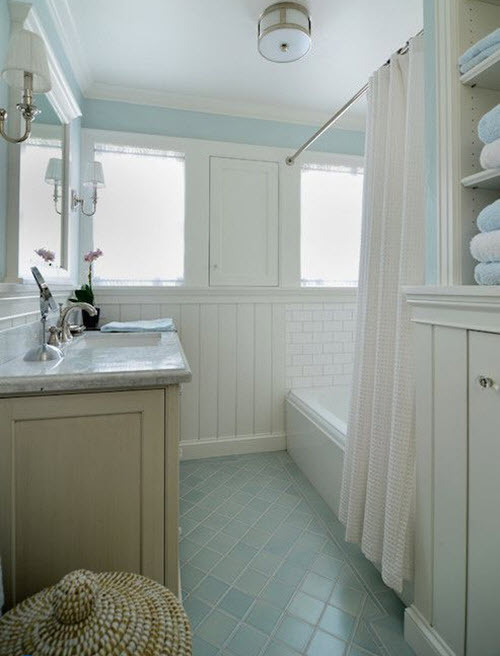 There are both advantages and disadvantages in using light colors for the bathroom floor. 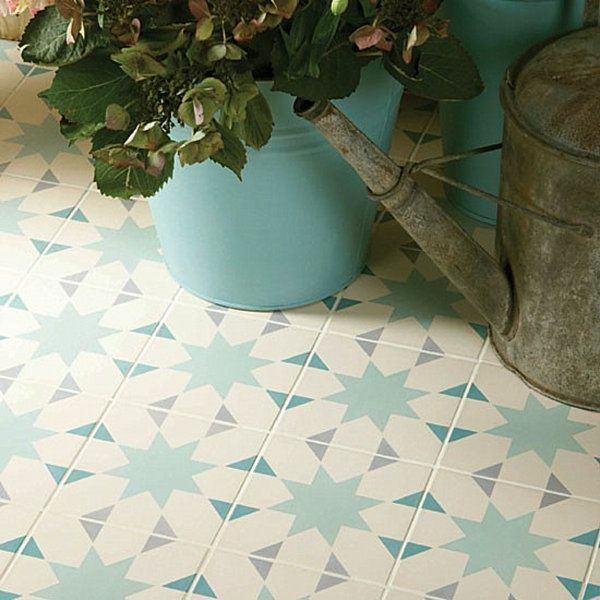 Among the latter ones are markings and imperfections that become visible more often that on darker floors. 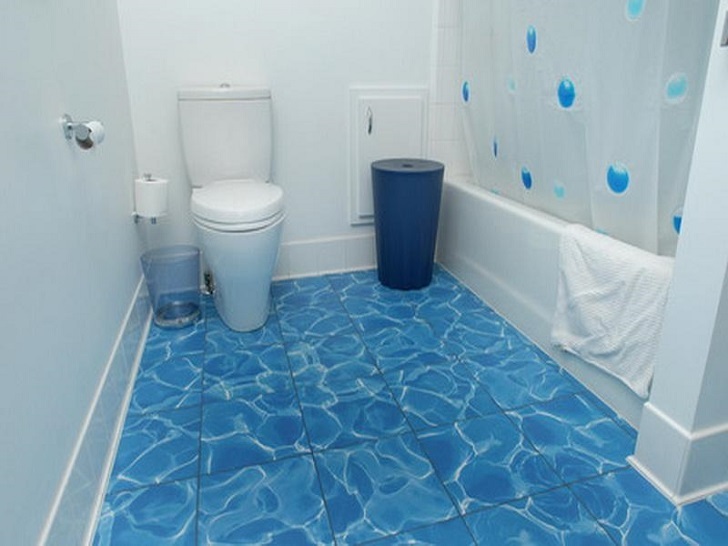 But advantages of the lighter shades of tile used on the floor compensate all the minuses. 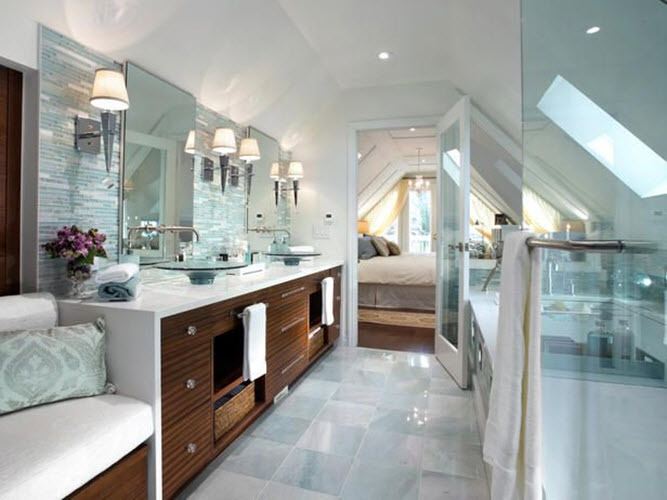 Light floor can visually enlarge the room, makes it look more spacious and cleaner and adds special touch to the atmosphere and decor. 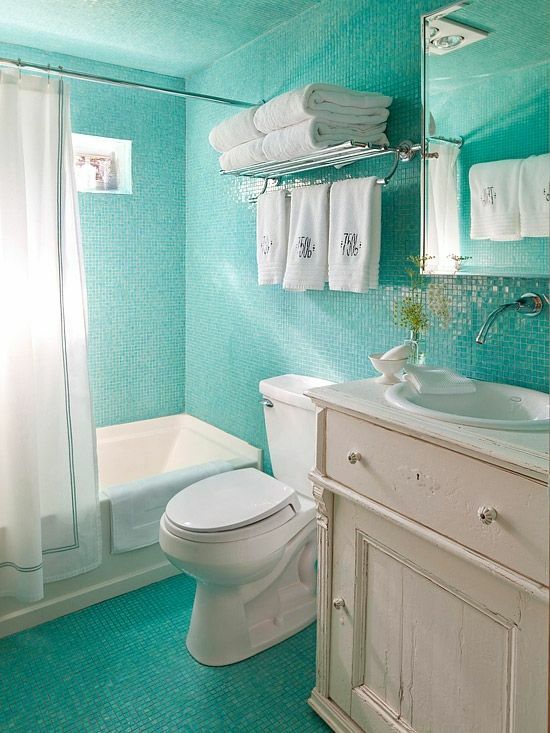 Especially if we are speaking of light shades of blue color. 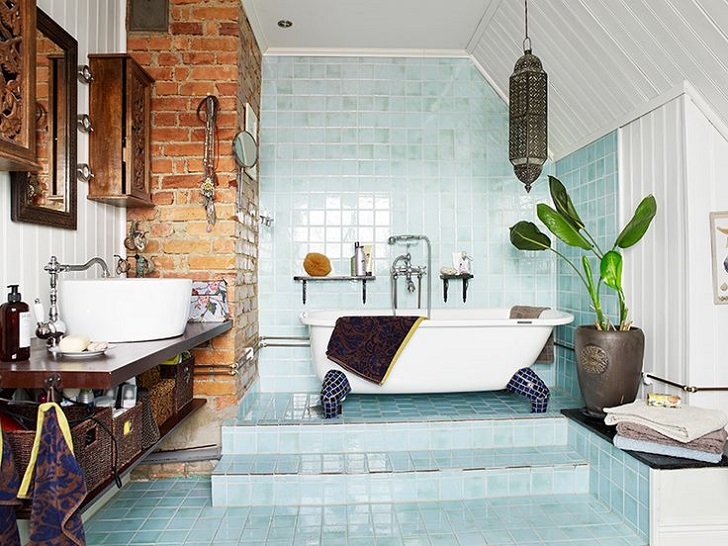 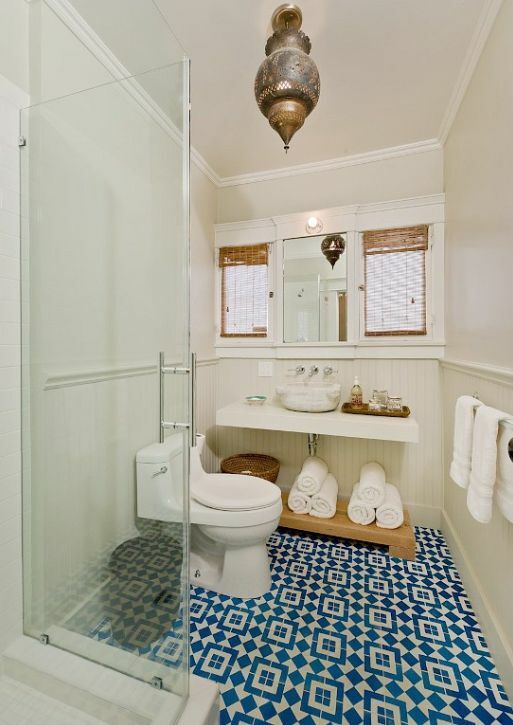 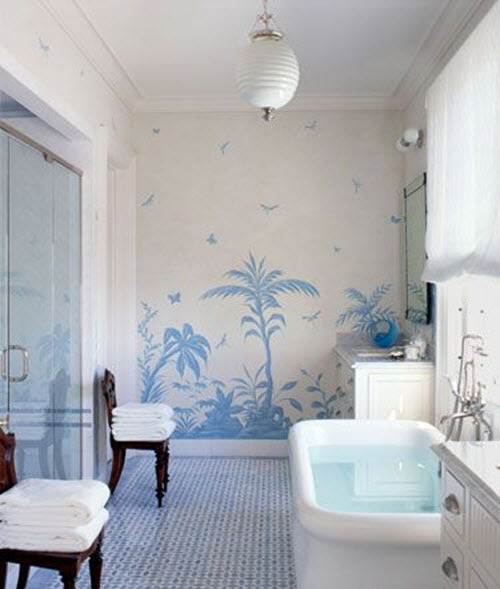 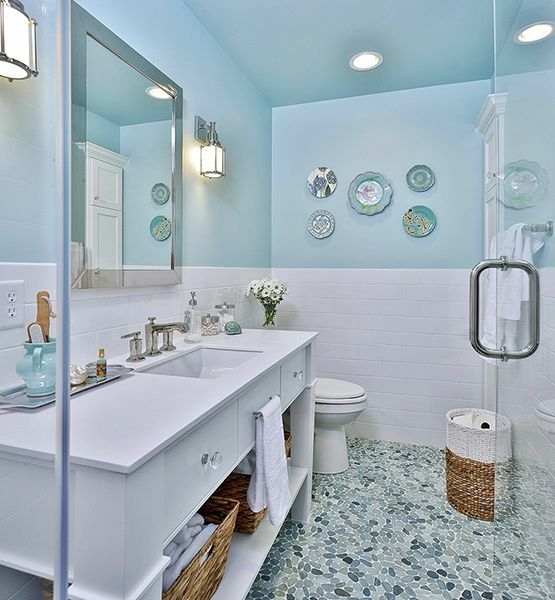 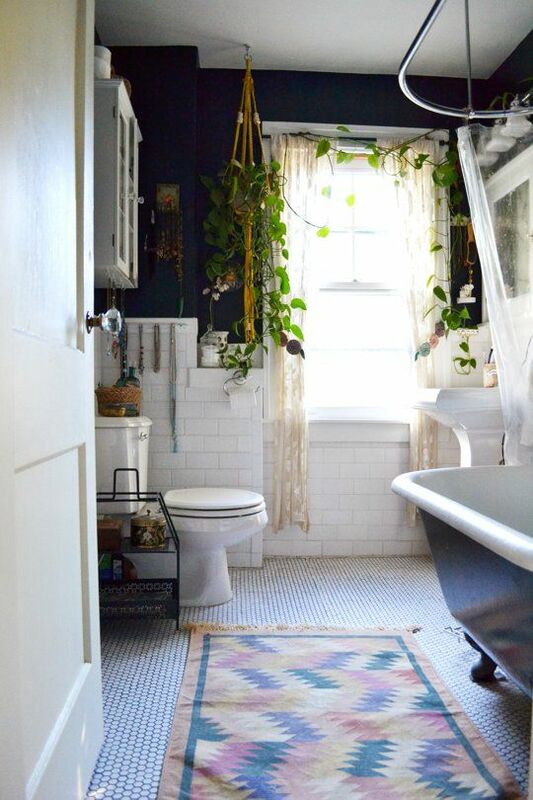 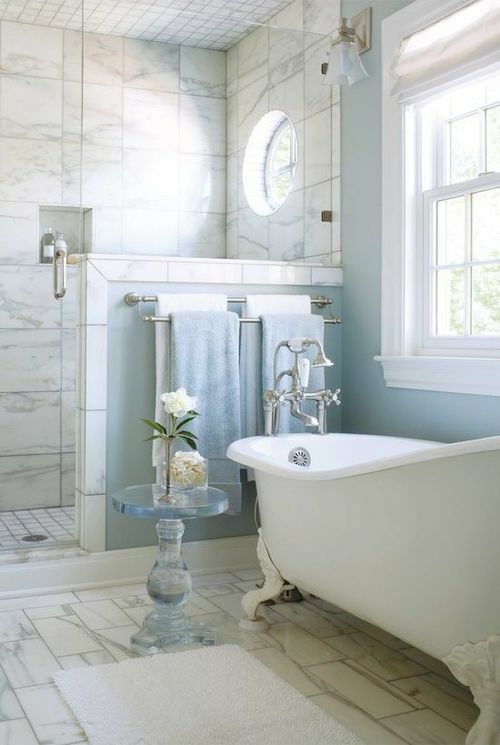 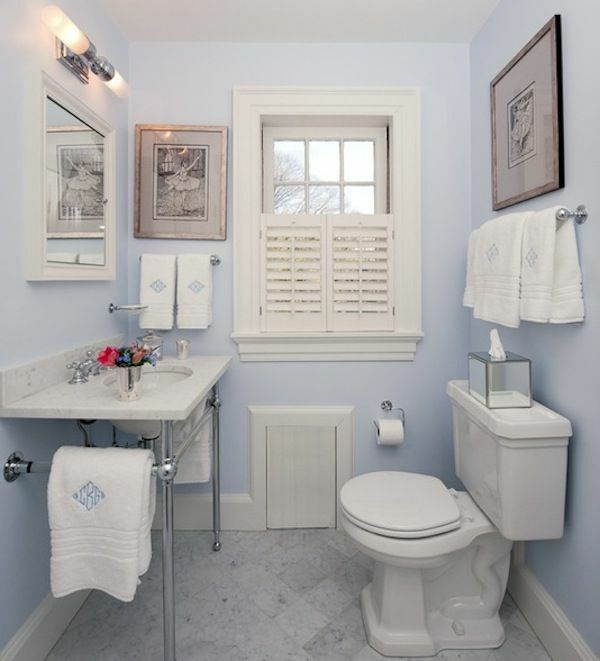 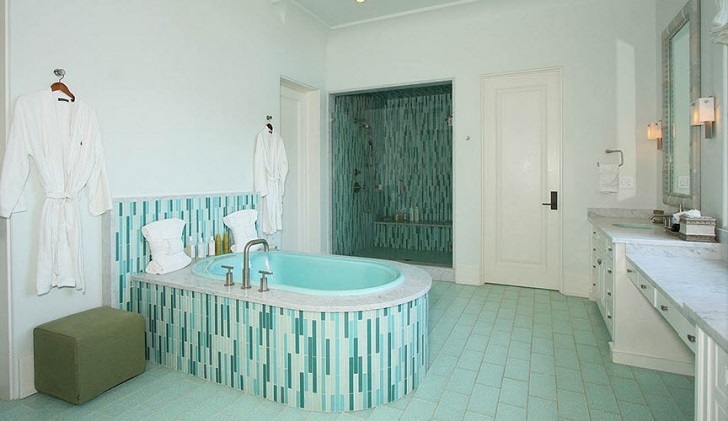 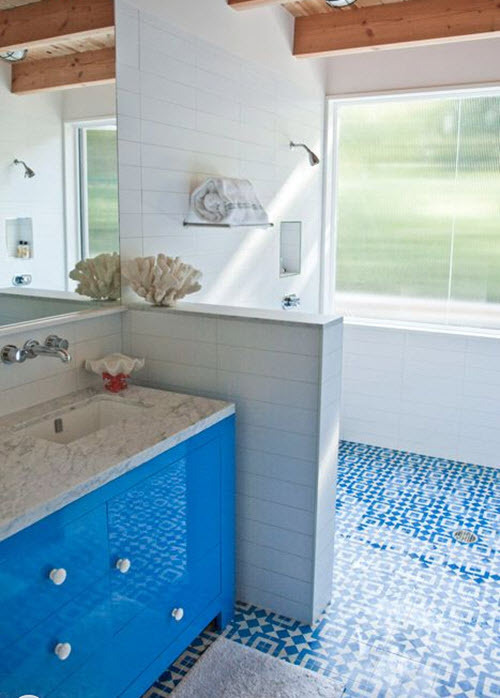 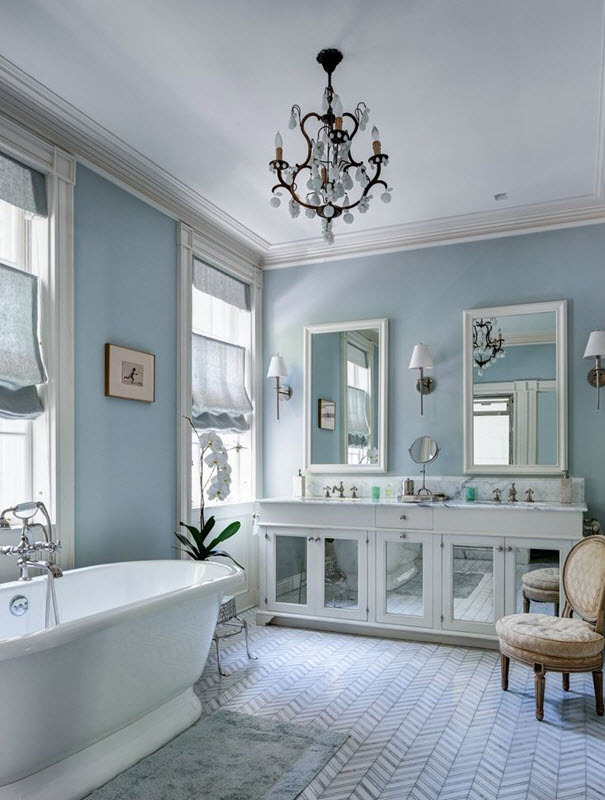 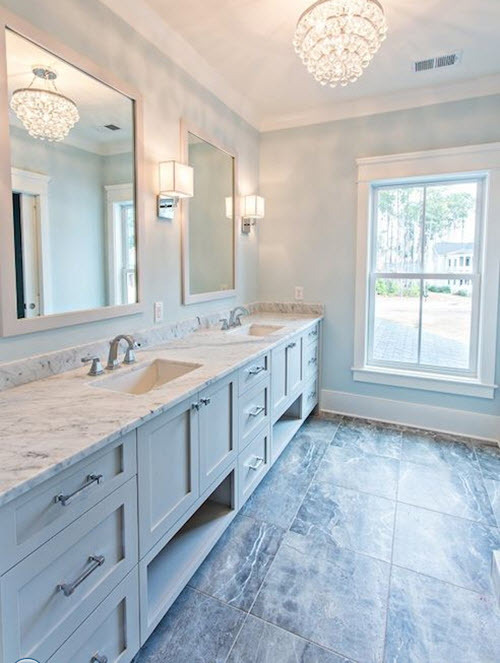 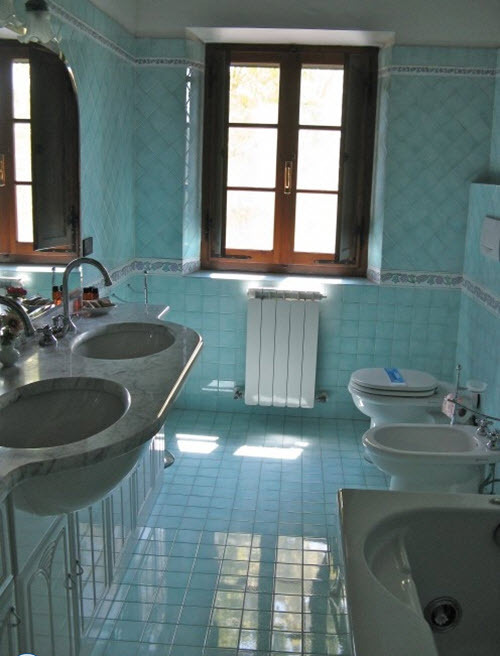 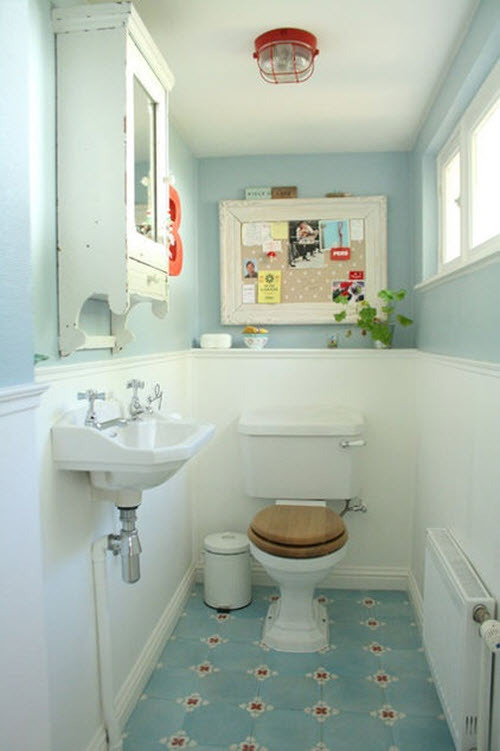 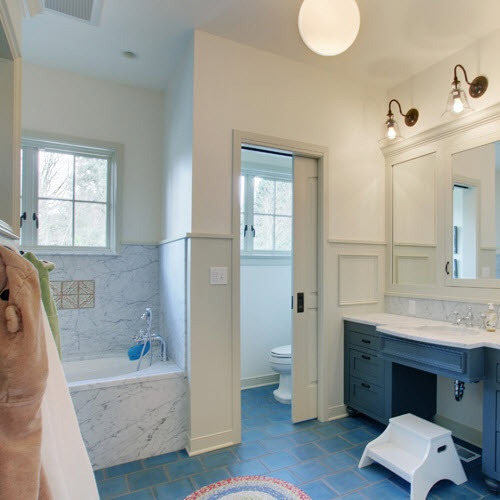 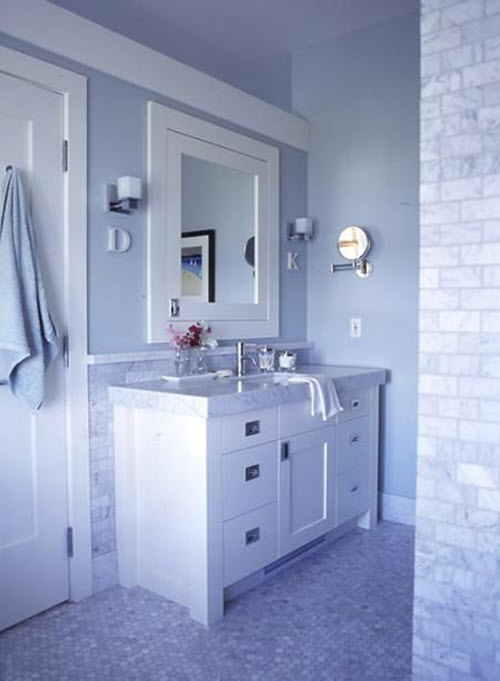 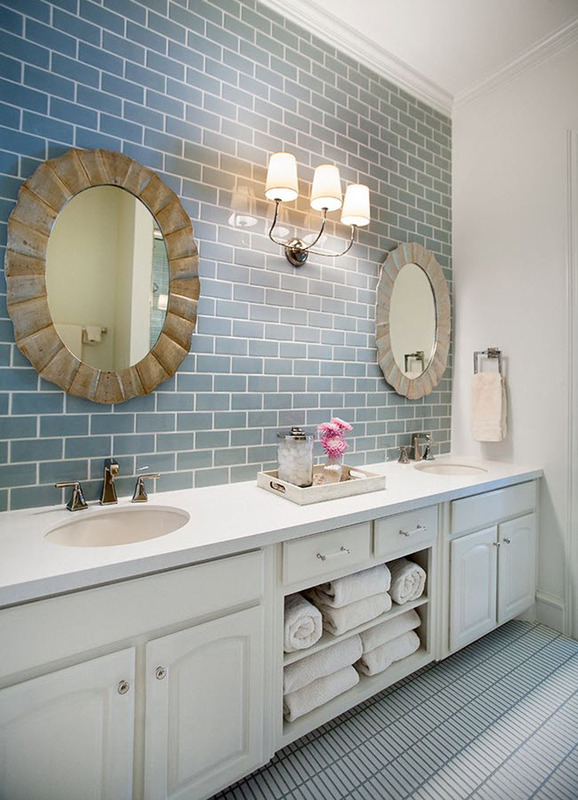 If you want to have an unusual and unique bathroom that would say “elegance” and “exquisiteness” to anyone who enters use light blue tile on the floor! 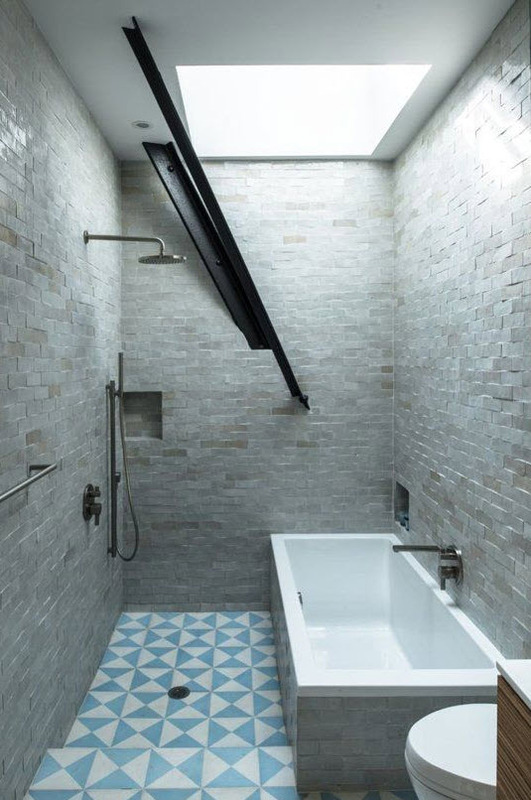 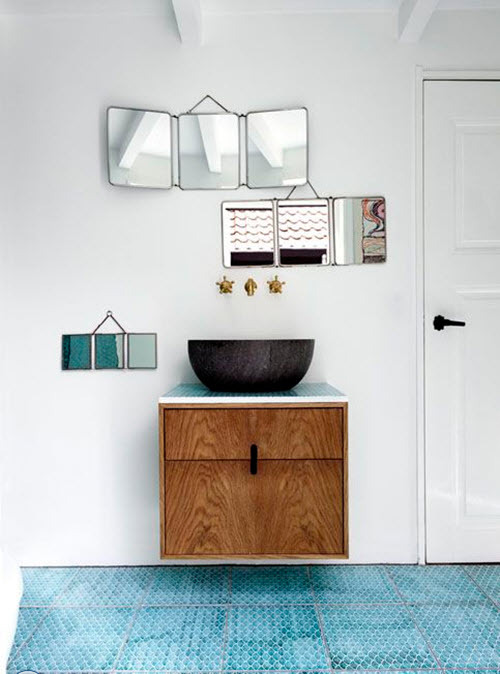 The tile itself can be of any shape and size – mosaics for an original look, big slates for small bathrooms or creative textured hexagon tiles for additional uniqueness. 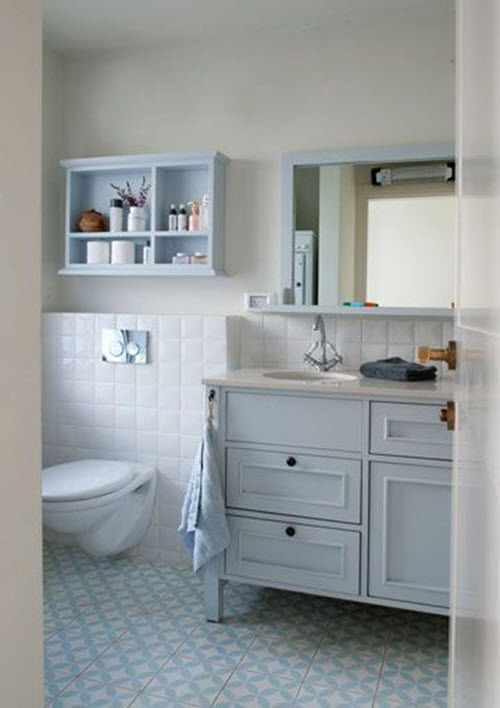 One way or the other, light blue bathroom floor tiles will help to make your favorite home space more spacious, elegant and “pure”. 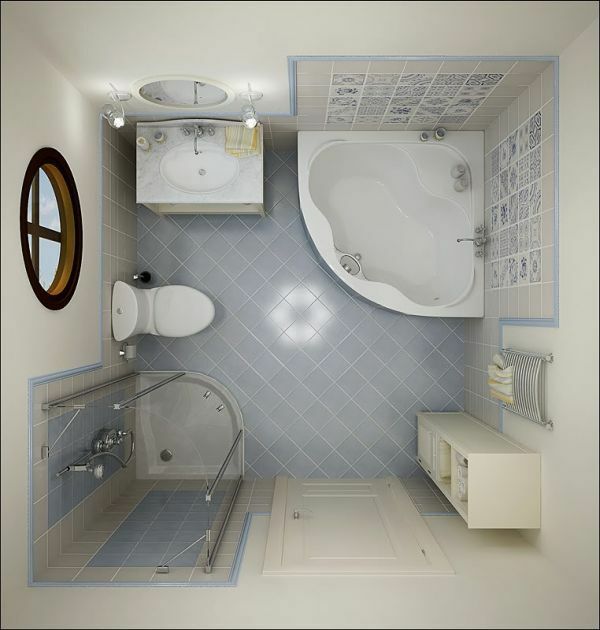 Just like it should be! 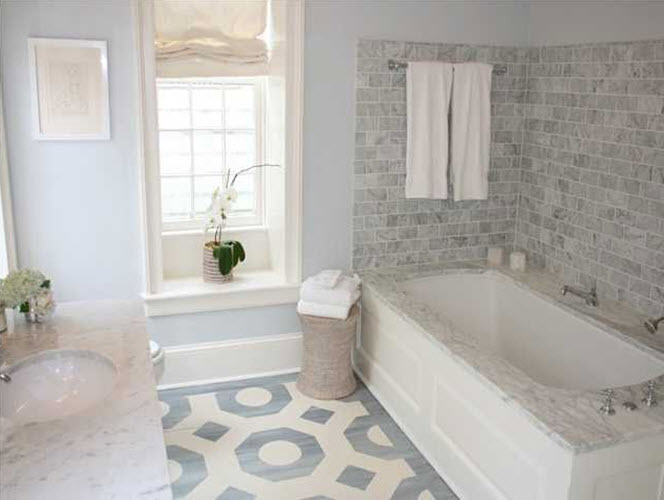 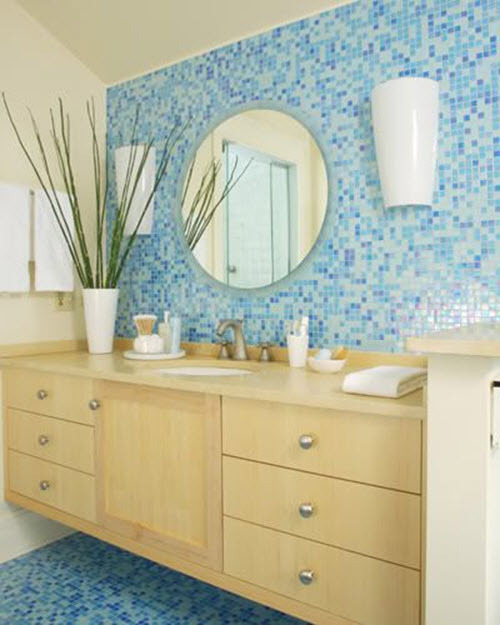 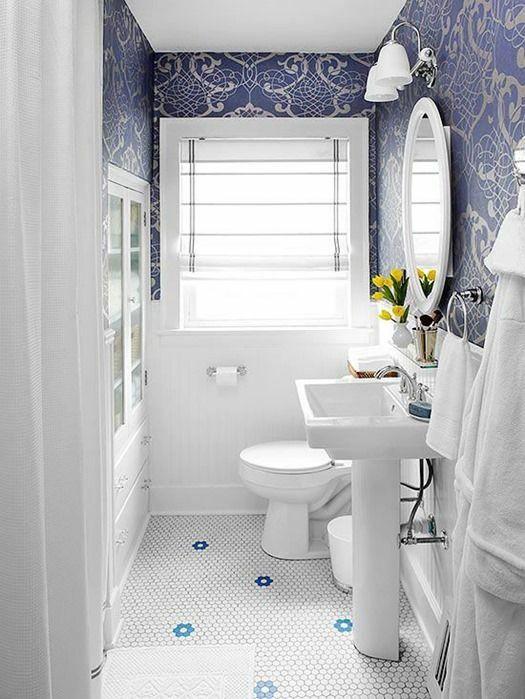 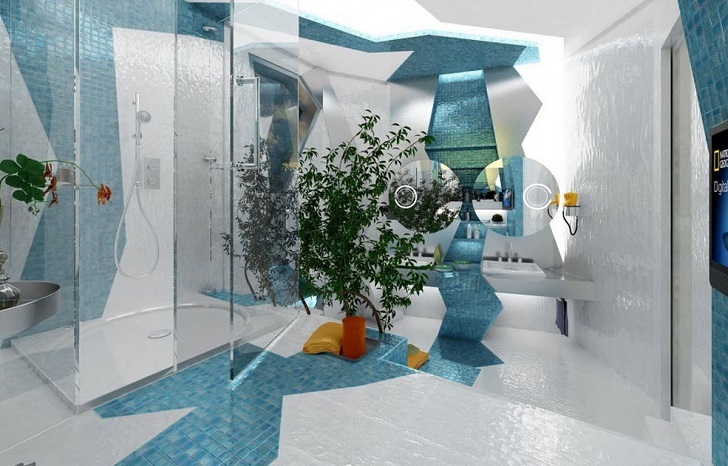 Our photo ideas below will help you figure out the best options for your bathroom floor.